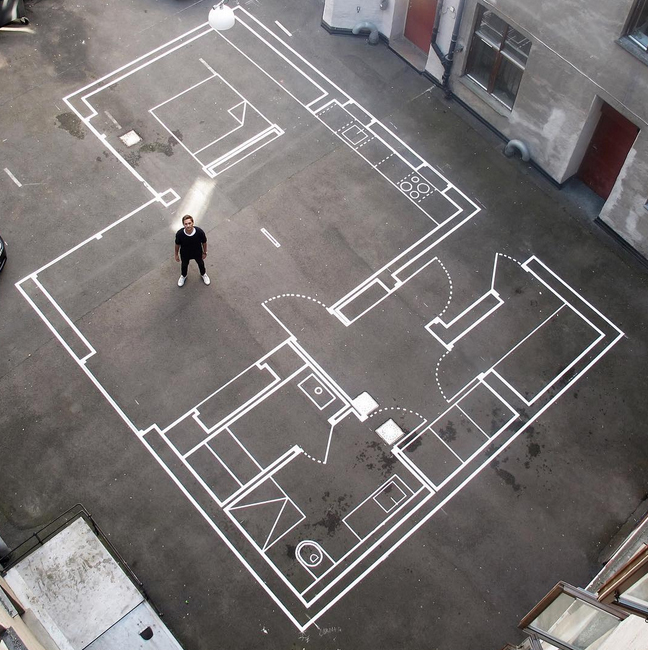 A clever team of architects in Oslo, Norway, mocks up full-size blueprints using a shared flat concrete courtyard behind their office, allowing colleagues and clients alike to test-drive designs in person during the schematic and design development process. 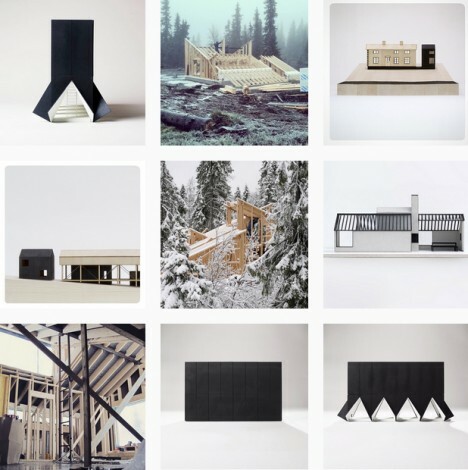 Vardehaugen Arkitekter has used white tape to draft everything from houses and cabins to offices and pavilions, sharing the results on Instagram with enthusiastic fans and followers. 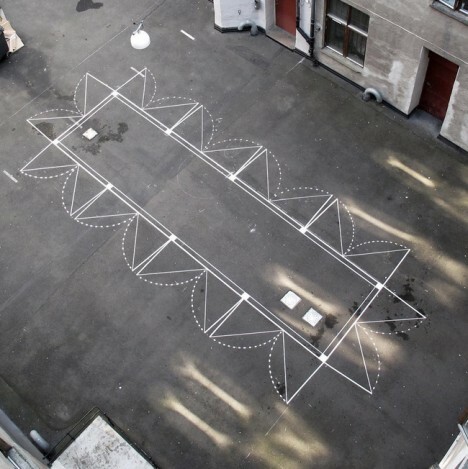 Like their architecture in general, the white-on-dark drawings are minimalist (in terms of designs and colors) but effective, using standard blueprinting conventions legible to professionals and laypeople alike. 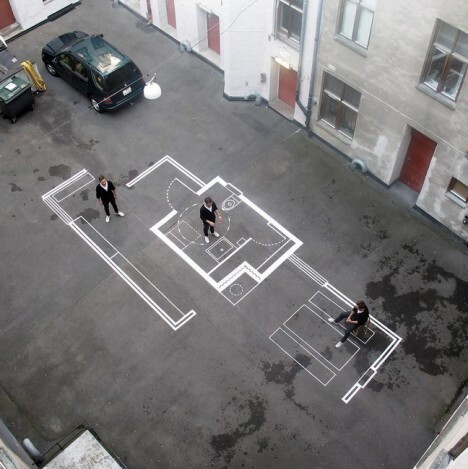 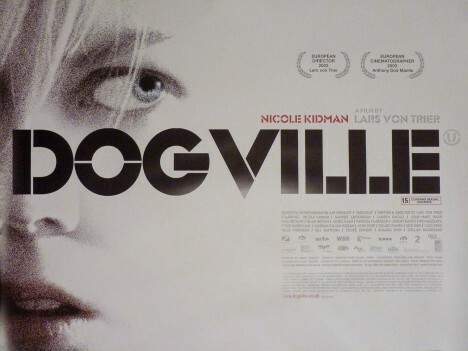 The movie Dogville comes to mind, its props simple and its rooms mapped out on the floor, defined by invisible walls and doors left largely to the viewer’s imagination and extrapolation of a basic barebones blueprint.